Cockatoo Island is an Australian gem, located among the blue waters of beautiful Sydney harbour. Featuring breath-taking harbour and city views – the 17.9 hectare island is an imaginative heritage and maritime park. Steeped in history, Cockatoo Island also abounds in accommodation and leisure facilities, waterfront camping and areas for events and picnics. Named after the sulphur-crested birds that once flocked to the island, the area was off limits to the public for more than a century until it was opened in 2005 and later given World Heritage listing. Now, it is a spectacular attraction that both fascinates and absorbs its many visitors. Formerly a base for indigenous fishing, the island played a role in Australia’s convict history after it was chosen in 1839 as the site of a gaol to ease overcrowding at the penal settlement of Norfolk Island. Convicts at Cockatoo Island quarried high quality sandstone from the island’s cliffs to build their own barracks, a military guardhouse, official residences and the Fitzroy dock to service Royal Navy vessels. Many of these structures remain and can be inspected today. Cockatoo Island convicts also dug as many as 20 bottle-shaped wheat silos in the sandstone to help the colony of Sydney guard against crop failure. By the end of 1840, more than 500 tonnes of grain was stored in this way, but the British government instructed that the stockpiling of wheat be stopped to allow the free market to determine the price of the grain. 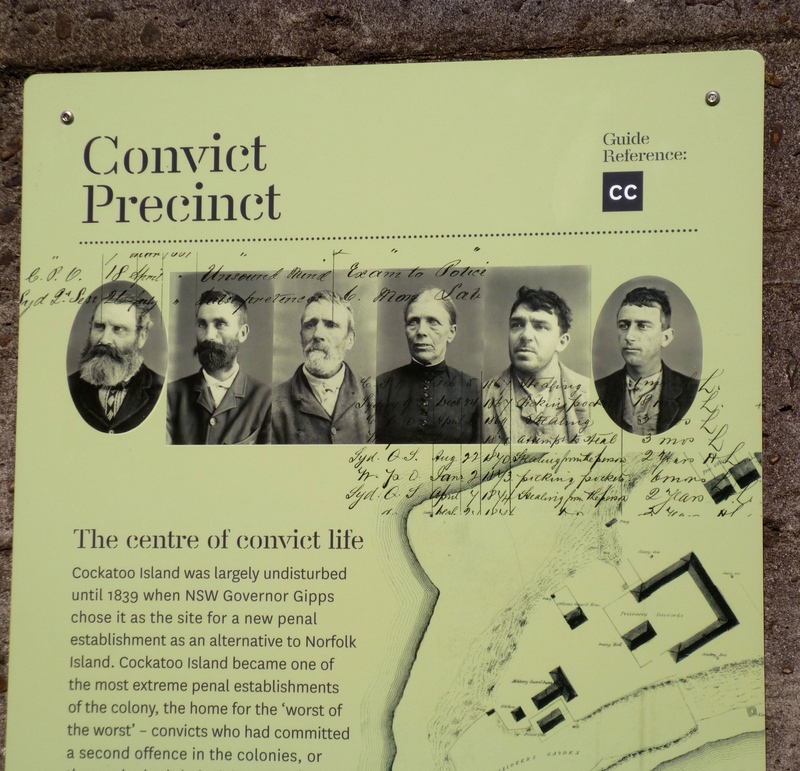 Escape attempts from Cockatoo Island were rare, but the notable exception was prisioner, Fred Ward, who swam to freedom – with the aid of his wife – in 1869 and later become the bushranger known as ‘Thunderbolt’. Construction of Fitzroy dock required the removal of sandstone cliffs 45 feet high. It took nine years to build and became Australia’s main shipbuilding facility. 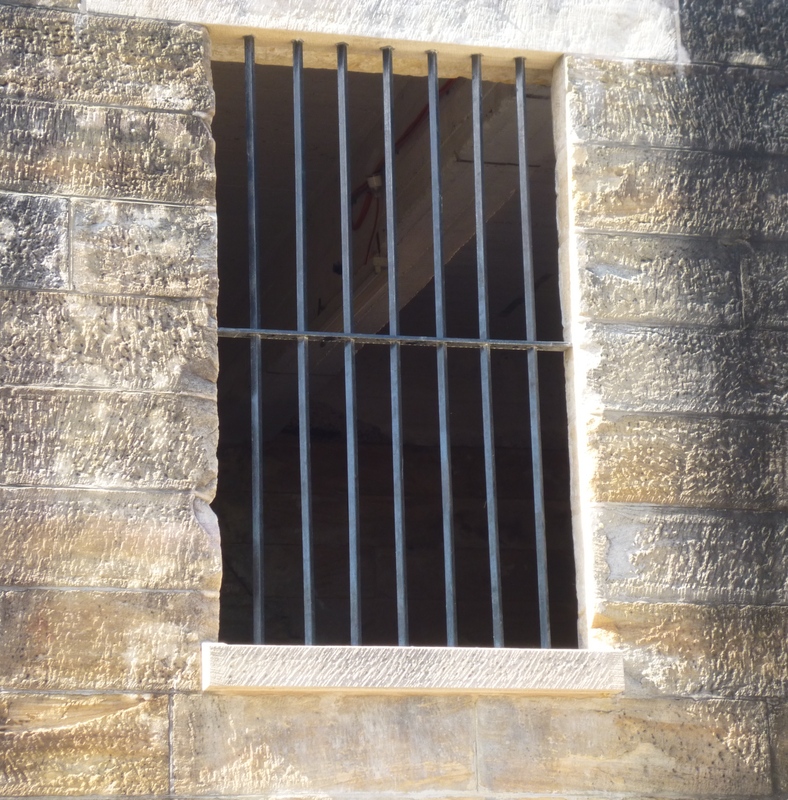 After the gaol closed in 1869, Cockatoo Island was used as an industrial school for girls and a type of prison for female felons. At the same time, the navel ship, Vernon, was anchored off the island as a facility for orphaned and wayward boys. Despite a 10 foot fence designed to keep the girls and boys apart, the island gained a notorious reputation and was gradually dedicated purely to shipbuilding and repairs. Shipbuilding continued for 134 years until 1991. It was Australia’s primary shipbuilding, refitting and repair facility and, as the nation’s first naval dockyard, it played a huge role in maritime history. When Singapore fell to the Japanese in World War II, Cockatoo Island became the main shipbuilding and repair centre in the South-West Pacific. More than 250 ships were repaired or converted at the island during the War, including the liners, ‘Queen Mary” and ‘Queen Elizabeth’, which were refitted to operate as troopships. Later, Cockatoo Island was responsible for naval support during the Korean and Vietnam wars and for refitting submarines until the dockyard closed in 1991. 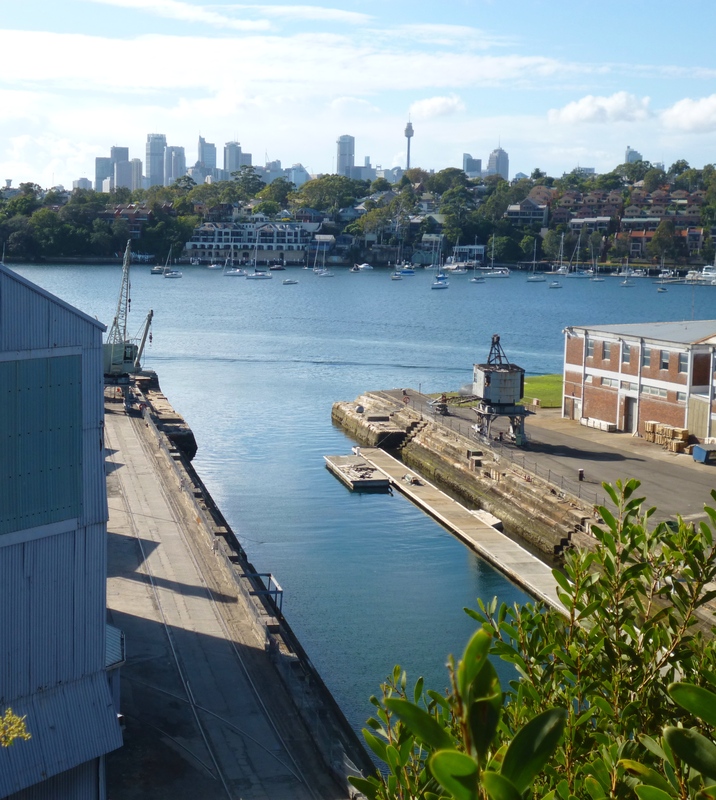 Today, the island’s heritage is preserved by the Sydney Harbour Federation Trust, which has revitalised this once-great shipbuilding centre and former penal establishment – while striving to preserve its unique character. 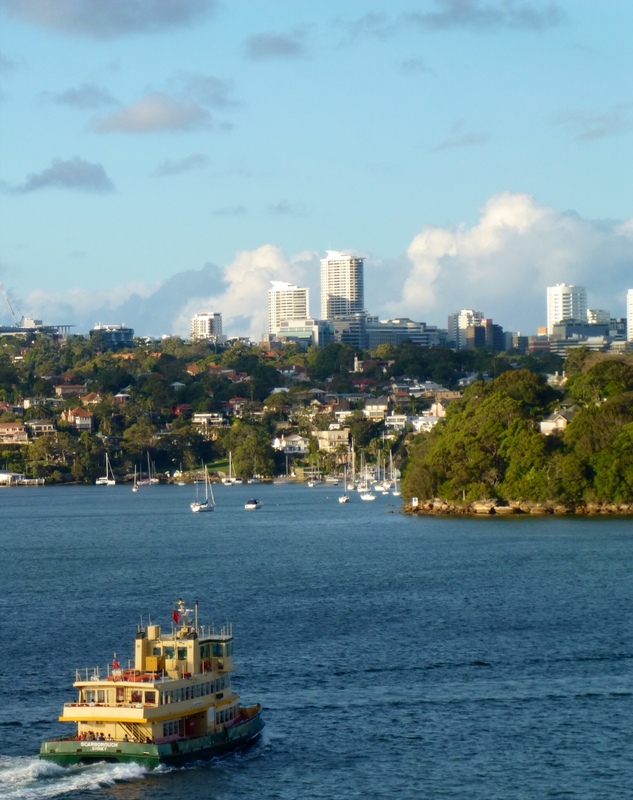 Visitors who catch a ferry across Sydney Harbour can wander among the island’s key sites and see the former convict areas, docks, wharves and slipways. Self-guided audio tours will take you over each precinct and allow you to wonder at the island’s huge tunnels, including one which was reinforced with concrete for use as a World War II air raid shelter. 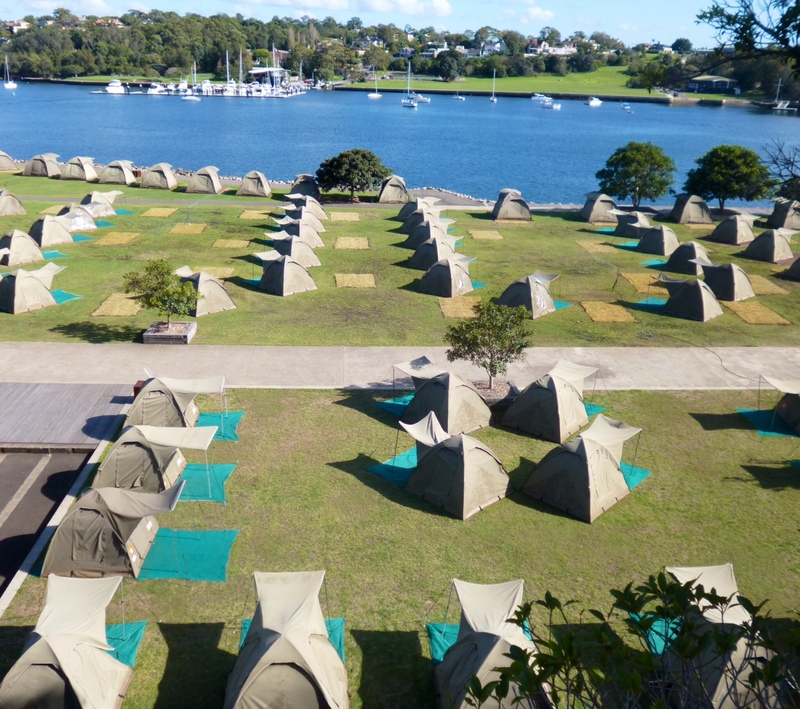 There are several accommodation options on Cockatoo Island, including camp sites; tents for hire; luxury camping or ‘Glamping’; units; and studio apartments with astonishing views over the harbour. 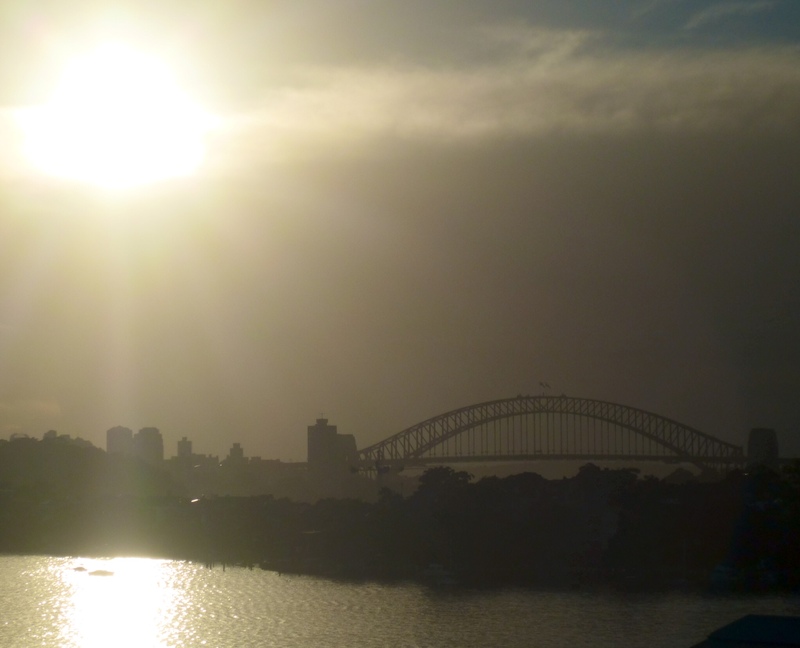 Cockatoo Island is also popular with photographers, who regularly line the cliff tops in the early morning to catch a view of the sun rising alongside Sydney Harbour Bridge. The island is fast becoming a centre for concerts and similar events and is considered a good location to catch Sydney’s traditional New Year’s Eve fireworks. So, to experience this wonderful park and everything it offers, head to the Sydney Quay waterfront and catch a ferry across the magnificent harbour to Cockatoo Island. And, to see the best of this memorable destination, why not book a stay in a studio apartment or join the campers along the waterfront (above). There’s no need to worry about food. It can be purchased or ordered in advance from the island’s well equipped bars and restaurants. These include The Island Bar, which has gained prominence because it is made from recycled shipping containers, in line with Cockatoo Island’s industrial and maritime heritage.